I hope everyone had a joyous holiday celebration and that you are looking forward to more of the same to begin the new year. I didn’t want our players to miss out on an opportunity so I am passing along this interesting information. I just received this information so if it is a bit late, I apologize! You may remember that a while back I wrote about the World Team Championships coming to our general area. Well, it is happening. They are hosting three days of tournament play in Surprise, AZ at the Surprise Pickleball Courts, W. Tierra Buena Lane, Surprise, AZ 85374. *Players must all play at the level of the highest skilled player on the team. *Brackets may be combined to complete the division. Each team will consist of 4 players (2 men and 2 women). Each team may carry 2 more players for substitutions* each round of play. 6 players maximum for each team. Round Robin or Pool Play will be determined by the number of teams entered in your division. Every team is guaranteed a minimum of 9 matches over the weekend! *Player Substitutions: Each Round a Team Captain may substitute 1 player during a match. For example: Kimi and Peter are playing Mixed Doubles against Orlie and Ashley. Kimi is not playing well or gets a cramp (yikes). Team Captain Carol can substitute Donna in for Kimi, but no other substitutions can be made for any of Carol’s players during that remainder of that Round. 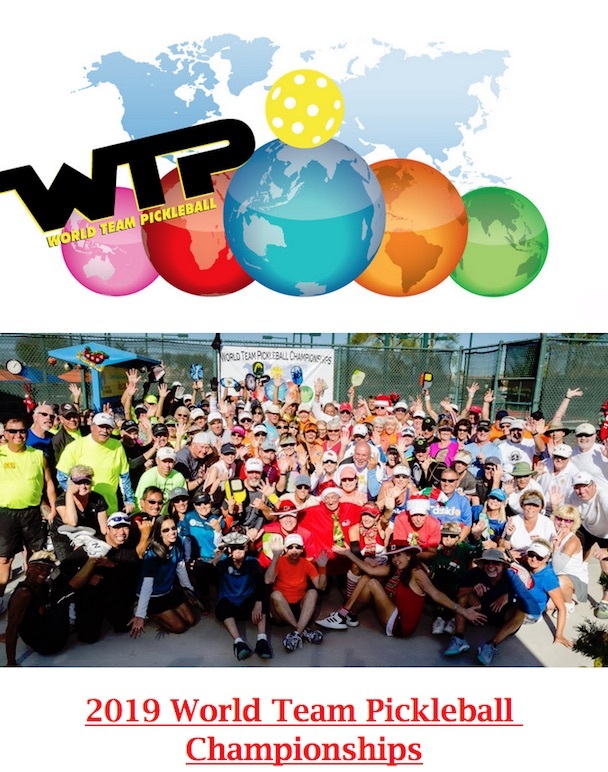 The 2019 World Team Pickleball Championships is scheduled for February 1-3, 2019 in Surprise, Arizona on the Surprise Pickleball Courts. Every player will receive a WTP Swag Bag at registration! Registration Process: All players will register on R2Sports. Team Captains should register first, as the rest of the team will select the captain or team name to register under. This is related to the idea I mentioned in a previous newsletter, i.e. having a plan. When you return the ball, do you try to return it to a particular spot. Better players are able to hit a target spot whether it be the opponent’s forehand or down the middle. The video below gives some good pointers, especially about the return of serve. This one tip may help you improve your game even if you need to make adjustments in the course of a game. 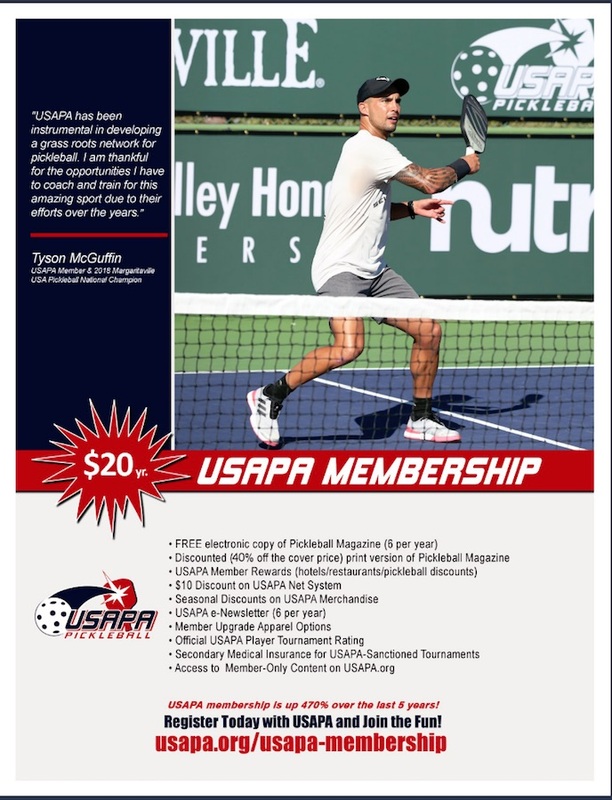 Previous newsletters that may have pickleball hints, videos, rules changes, etc. are now archived at the following link. You can check out previous newsletters there. The next round of Introductory and Beginner Pickleball Lessons at Paradise Valley Community Center are now online and they are filling up fast. If you know someone who would like to learn about our sport, they can check out the offerings HERE.